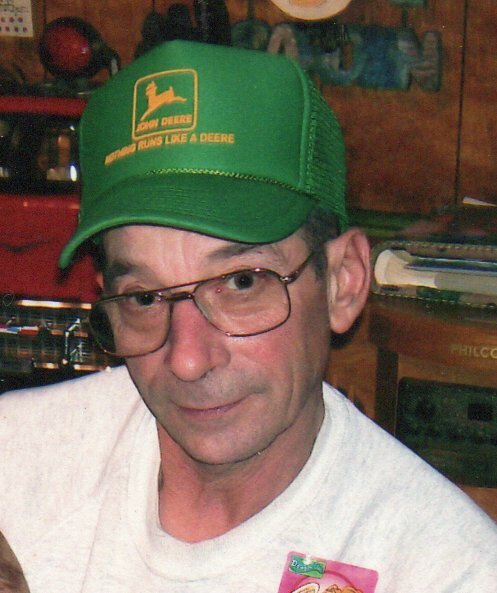 Frederick J. Rohr, age 69 of Navarre, passed away Monday, April 15, 2019 at his residence surrounded by his family. He was born January 10, 1950, in Massillon the son of the late Henry and Agnes (Rambo) Rohr. Fred served in the U.S. Army in Korea during the Vietnam Era. He retired from Central Allied Enterprises after 29 years of service. He enjoyed his '57 Chevy's and John Deere Tractors. Fred is survived by son and daughter-in-law, Shawn and Missy Rohr; daughter & son-in-law, Jennifer and Steve Wagoner, daughter Angela Stevens; brothers, Mike Rohr and Philip Rohr; sister, Julie Baltrinic; and eight grandchildren. He was preceded in death by his wife Margie Rohr, brothers Earl Rohr and Larry Rohr. Funeral service will be held on Thursday, April 18, 2019 at 10:30 A.M. at Heitger Funeral Home - Massillon Chapel with Fr. Thomas Bishop officiating. Calling hours will be held at the funeral home prior to the service from 9 to 10:30 A.M.
Burial to follow the service at St. Clements Cemetery. In lieu of flowers donations may be made to St. Jude's Children's Research Hospital, 501 St. Jude Place, Memphis, TN 38105-1942.